Bring the theory of plate tectonics to life with fascinating footage of Alfred Wegener’s pioneering expeditions, molten lava spewing from the sea floor, and the 1989 San Francisco earthquake. The DVD consists of two video programs and an archive of approximately 400 photographs and diagrams on the major aspects of global tectonics. Explore the modern theory of an active restless earth and its interior structure or view the eruption scenes of the Hawaiian volcanoes with their massive flows of dark lava! Students learn about sea floor spreading and convergent, divergent and transforming plate boundaries. 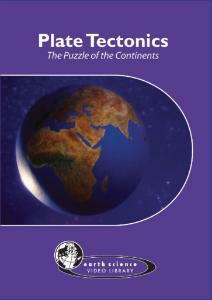 Includes teacher’s guide with objectives and ideas for classroom activities and discussion. Duration: 18 minutes.